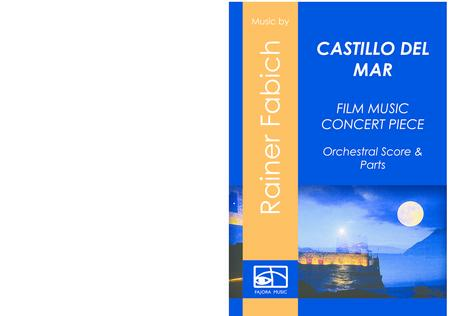 Composed by Rainer Fabich. 21st Century, Movies, TV, World. Score, Set of Parts. 75 pages. Published by Fajora Music (S0.37841). Film Music & Concert Piece, for soprane saxophone (alternative english horn), piano and full orchestra. Score and sheets, 74 pages, duration 5:30.Soft dramatic, neo-impressionistic concert piece. Native from the documentary movie "Castillo del Mar" with it´s wonderful waterfront location on the canarian island La Gomera/Spain. Orginal score from the CD "SOP SAX TUNES" by the soprano saxophonist and composer Rainer Fabich, from Munich/Germany.